Those involved with a new miniseries about a Fort Hood platoon that was ambushed in Iraq in 2004 want the audience to identify with the soldiers and families it portrays. The “Long Road Home,” based on the book by journalist Martha Raddatz, chronicles the events of April 4, 2004, which came to be known as “Black Sunday.” Soldiers with the 1st Cavalry Division from Fort Hood, Texas, were escorting sanitation trucks through Sadr City, Baghdad, when they were ambushed by militiamen. Eight U.S. soldiers were killed, and more than 50 were wounded during the firefight and subsequent rescue attempt. Lt. Gen. Gary Volesky, the commander of I Corps at Joint Base Lewis-McChord in Washington, earned the Silver Star for his actions during the battle that began the siege of Sadr City. Then-Lt. Col. Volesky is played by Michael Kelly (”House of Cards”) in the series. Each episode of the eight-part miniseries is an hour long to match the length of the eight-hour battle. The first episode of the “Long Road Home” airs Tuesday on the National Geographic channel. Raddatz, who has stayed in touch with many of the soldiers and their families over the past 13 years, said audiences can see the different characters and hear what they have to say. “I think that makes it much more relatable and humanizes it because it’s not just a whole bunch of helmets and uniforms,” she said. 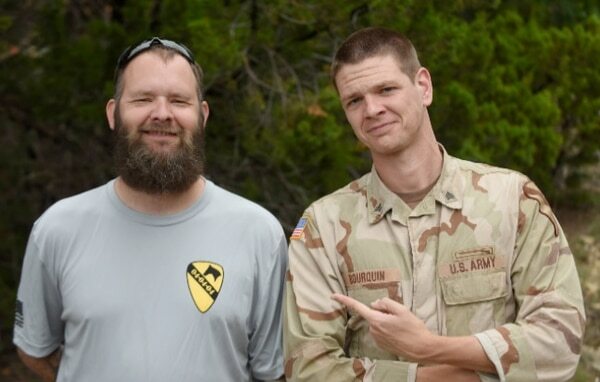 Army veteran Eric Bourquin, who was one of the 1st Cavalry soldiers, said the show is so authentic that the service members and families who were involved in 2004 will remember what everything felt like. “Unfortunately, some are going to remember what it was like to get that knock or to get that phone call,” Bourquin, one of the advisers on the series, told Army Times. Everyone will be able to identify with it, the former sergeant first class said. The former infantryman said the routine patrol went from “progressively worse to horrible,” then all of a sudden there was nobody in the streets anymore. Bourquin, who retired in 2013, said he’s at a place in his life where being involved in a project like this was beneficial instead of detrimental. The set for the show was built around Fort Hood, where the soldiers trained before deploying. About 80 buildings were constructed to resemble Sadr City, and Bourquin said being on the set with the cast and crew and putting them through training was a nice full circle. Bourquin said he started therapy in 2008 and has done “extensive amounts” since, but he said working on this series has been equal to those years of therapy. “The fact that I’m still sitting here breathing is not lost on me,” he said, adding that staying connected to his battle buddies has really helped him work through everything that happened. “Why not turn to them again when you’re going through difficult things?” he said of his fellow soldiers who are also involved with the series. This isn’t a story about one platoon, he said.